Thanks Islesy. I wondered if the macine was similar to the 1922 one. There have to be only so many ways you can design a TBM. Having looked into matters, it transpires that several attempts at mechanised tunnelling were made in 1915-16. Indeed, electric and air driven handheld power tools were devised by the Munitions Inventions Department and regularly tested at Chatham. The new rotary cutting machine put on trial at Dover could have been one of two machines. Early in 1916 a 7 tonne Stanley Heading Machine was constructed and sent out to a trench position known as SP13 close to the village of Wytschaete whilst a Whittaker machine (the same as used in the 1922 Channel Tunnel test boring) was installed in March 1917 to cut an offensive tunnel from Lock 6 on the Ypres-Comines Canal to a point beneath the British lines some 400m away. These machines were not designed to drive the whole offensive gallery, just the initial headings that were outside enemy listening post range - unfortunately the Flanders clay, being much softer than chalk, proved to be too difficult to drive large shafts through in this way. With this background, the Winchelsea bore could prove to be a very important link to tunnelling operations on the western front in WW1. That is grossely unfair to have got our interest in another TBM in the Dover area and not post any pics! Is there any more to be had, Unfairytale? Here's a piece taken from a National Geographic Magazine of 1944 regarding the bored-out section of the tunnels. Written by Harvey Klammer. 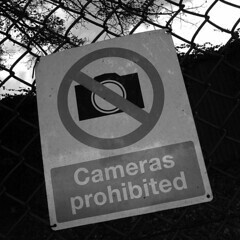 "One tunnel was dug in the last war as an experiment. 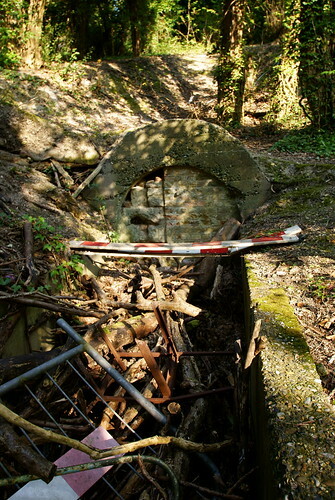 British Sappers planned to dig a hole through Hill 60 on the Western Front. To guage the time it would take, and to try out a new rotary cutting machine which had been placed at their disposal, they practiced on the Dover cliffs. The result was a first-rate tunnel capable of sheltering 1,600 people". I've not seen a survey or map of this shelter. Most of the other shelters were surveyed in 1954. I've bought a few of them from the National Archive. All of the tunnel shelters were still being regarded as shelters rather than interesting relics well into the 1950s. There was (and I assume still is) a 1951 map of existing and proposed new shelters in Dover Library. Re reply #4, TowerWill, my late wife lived at Clarendon in WW2 and when some Dover schools were re-opened part-time during the War she apparently used these tunnels to get to Tower Hamlets. Dunno about a builders' yard but there was a haulage (or was it removals?) firm - George Potter's - in the 1950s. Red and black lorries, I seem to recall. The King and Queen accompanied by the mayor leaving Winchelsea caves after a shelling raid on 18th October 1944 the day Dover recieved royal recognition for its bravery. "The railway arch at Crabble was sandbagged, and the R.E. Tunnelling Company made a series of experimental tunnels between the chalk pit in Folkestone Road and the chalk pit at Tower Hamlets, which were intended for use as an air raid shelter, but were never actually used, as by the time it was finished in 1918 the raids had ceased." A Then and Now shot. An interesting article and photos.Looks as though the Priory Hill tunnel came out in what was a small chalk pit where the Abbots is now,not far from us.A neighbour spoke about the tunnel but i never saw the entrance.I believe there was a builders yard there at one time. As far as I know the quarry was dug to provide chalk during the construction on the Admiralty Harbour. It was good to see a different form of tunnel construction. 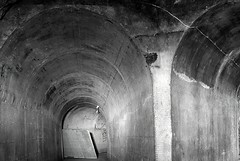 In Dover we are used to the Napoleonic era construction method of hand hewn tunnels, and if the WWII pictures are typical then even the 1940s tunnels were constructed by hand, albeit with pneumatic drills rather than hand picks. The Winchelsea, Westmount & Priory Hill Tunnel system seems to have been extended from the original quarry caves by using a boring machine, with the floor sections being cut in afterwards and blockwork arch sections being inserted at regular intervals. I wonder at what point the extensions were constructed, assumption would lead us to believe it was in the period 1936-8 - then again, we all know what assumption is the mother of! Was the boring machine already on site, being used in the quarry - indeed was the quarry being worked during this period? So many questions, and so little information seems to be available.